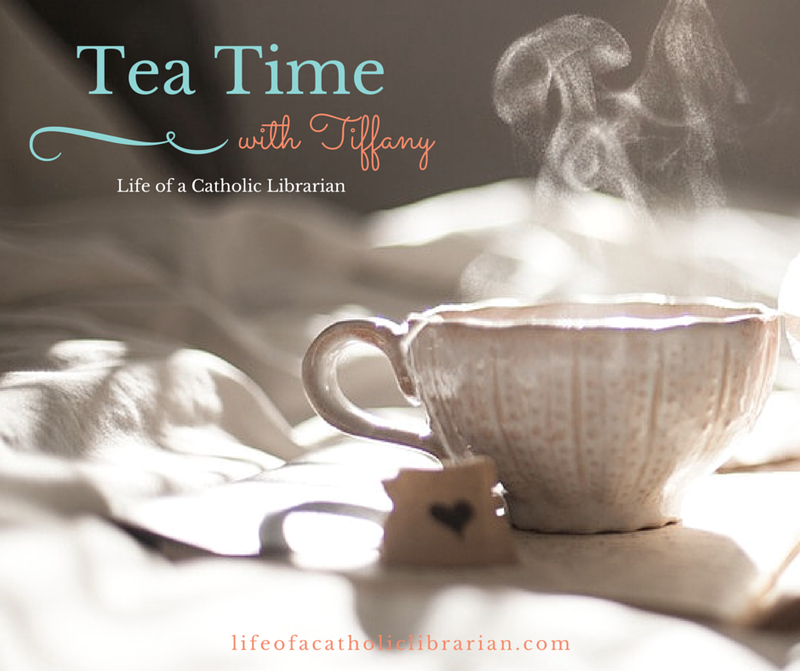 Life of a Catholic Librarian: Tea Time for Advent 2017 - Episode 2! Tea Time for Advent 2017 - Episode 2! Virtual high five everybody! I'm back for a second week in our Advent Tea Time series! 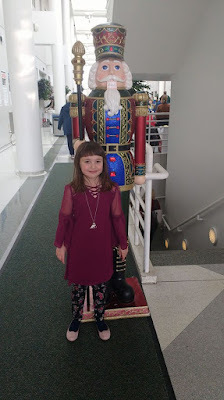 Today in What's Happening, I talk about Christmas gift buying progress (*snort* it's not going all that well), and lots of dance news. We review the Blessed is She Advent Journal, before moving into our book club chat for chapter 2 of The Christmas Quilt! I thought this chapter was much more emotional than chapter 1. Blessed is She Advent Journal (in digital download form). The Christmas Quilt (our Advent 2017 book club selection). Book Club schedule (next week we are reading Chapter 3, which is a bit longer than the previous chapters). The Quilter's Homecoming (Elm Creek Quilts Book 10, this is the installment with Elizabeth's story after she moves to California with her new husband). How is your Advent going, dear ones?! Christmas shopping? Please do share thoughts on Chapter 2 of The Christmas Quilt, and I'll have the post up in the Facebook group as well momentarily! I enjoyed this chapter and completely share your feelings about everything relating to the Eleanor/Sylvia relationship. On a happier note, I also felt very nostalgic during this chapter. Just the description of the simple Christmas traditions at Elm Creek really puts me in a contemplative and peaceful mood. My own family Christmases tend to be non-stop and sorta chaotic, so Sylvia's recollections of her childhood Christmases seem quite appealing to me. Also loving the idea of having a signature food (like the apple strudel) to hand out to loved ones at Christmas. It's a great way to cut down on gifts that just add to a person's clutter, while still keeping the focus on giving and selflessness. One thing this chapter inspired me to do was emulate Eleanor by starting to go through my clothes and pull out a few items for those in need. Definitely looking forward to where the story will go from here! I LOVE that point about the apple strudel! So much thought and care go into it, but indeed, no clutter! This all made me want to start more food/baking related traditions with my kids. I had that as a kid, but as I'm not as much of a cook/baker as my mom, I haven't really delved into this much. I could really try harder on this! Those memories are so special. Your point on apple strudel reminds me I should make some fudge and mail it to my cousins who no longer live in town. It's nice to know that I have company in the nostalgia department for this chapter! I love baking, and it was very soothing to read about Sylvia and her family going through the rhythms of strudel baking. I have to admit to laughing at the bit about new Bergstrom brides being reduced to tears under the pressure of the legendary Gerda's strudel! I'm the first one to get upset at not getting things "just right", but it was easy to see (plank in another's eye, LOL) how unnecessary their angst was. In other plank news, I noticed that Sylvia and Sarah have each zeroed in on the other's sore spots, and know exactly how to remedy them, but are downplaying their own pain. I love the author's physical description of the space, the afternoon sunlight, the maple hued walls, the copper fixtures. Physical descriptions may seem flowery to some, but really help me settle in to a book as if it were a real place. I also appreciated how the author wove the childhood and adult points of view together for Sylvia, which made the emotional journey especially poignant. LOL! about the apple strudel tears with the new brides. :0 Relatedly, the newlywed Christmas tree tradition. ;-) It's kind of funny as I was reading chapter 3 this weekend that the same couple has now been fetching the tree for about 5 years running, because no new couple had wed since them, ha! Indeed, I am a person who likes to get things "just right," and when I bake with my kids, I find myself getting all upright about things as a result, which I HATE and I wish I could change about myself! The tradition should simply be cherished and enjoyed without so much emphasis on the finished product. Old habits die hard! YES to Sylvia and Sarah picking up on each other's weaknesses. They want to help each other, and cannot find within themselves how to resolve their own challenges. That becomes even more apparent in chapter 3. Can't wait to chat with you about that coming up later this week! 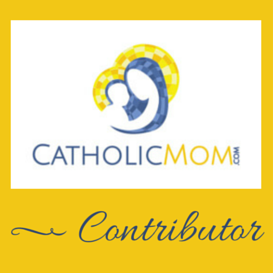 Thank you so much for joining us and adding your insights in here! Thanks for your replies, and for hosting the 'club'! I am enjoying the book, and reading everyone's impressions of it. I rarely make it to 'real-time' book clubs, so I appreciate being able to participate here. This chapter made me cry. The relationship between Sylvia and her mother was touching. Before this chapter I thought that Sylvia and wanted Sarah and her mother to reconnect because she had been in a similar situation as an adult. The fact that Sylvia lost her mother as a young girl gives her different reasons for wanting Sarah and her mother to reconnect. I hope we get to see Sarah and her mother reconnect later in the story. The podcast discussion of baking reminded me of a few things from my childhood. When I was young my family made sugar cookies at Christmas time. We painted our cookies instead of frosting them. My grandfather always made fudge for Christmas. After he passed away I took over the making of the fudge, because I wanted to be sure we had some at Christmas. Fudge can be difficult to make because if you don't get it exactly right it either hardens in the pan before you can pour it out to cool or doesn't harden at all. Although I don't remember my grandfather having made fudge that didn't turn out right, I'm told his didn't always turn out either. If the fudge doesn't harden, I bring it to Christmas anyway and we eat it with a spoon. It still gets eaten and everyone is happy to have it. So I encourage everyone to make that special Christmas treat. I bet it will still be edible even if it isn't perfect. Such an emotional chapter, yes? I love your family fudge tradition! I agree - regardless of how the fudge turns out, it should be eaten and enjoyed! Makes a good story either way, right? ;-) I *did* try the Chocolate Ball Cookies this weekend, and I'll detail for sure in Tea Time this week! I was sad to see the rift developing between Sylvia and her sister in childhood, which it seems, has never healed. As an adult, I know many others in "frenemy" type or strained relationships, because of the lifelong buildup of competition, slights,and injuries large and small. I was moved to send up a prayer for forgiveness, healing, and grace for all strained relationships during this holiday season. YES! You could really see it, even when they were so young. I couldn't help but feel annoyed with Claudia :0 but certainly, it went both ways. Sylvia was not totally innocent in antagonizing her sister. I remember very little about the series, and so I don't remember what we find out about the adult estrangement between Claudia and Sylvia. I really want to re-read most of these books! I'll have to post a list of at least the first half of the series and how those stories relate to the characters we're learning about in The Christmas Quilt. Perhaps I'll do that in our final week of the book club! I have no idea why I can't comment as myself - this is Donna Alice - my laptop won't let me sign in. Very weird - keeps eating my comments - waaaaaaaaaaaaaaah. But I will persist!! Loved this chapter. It reminded me of a childhood neighbor who'd come around on Christmas eve with this huge basket of spritz cookies for our family. She and her daughters did it every year for many years to her select list. Also reminded me of my cousin, Jane, and her "Cookie/Candy Factory." For many years she would gather some of the cousins to a Saturday of baking and candy making to have gifts for co-workers and our Kentucky relatives. I progressed from cream cheese ball roller to cookie icer . . . by then her own girls were old enough to help. Those were fun times! I too want to re-read most of the Elm Creek books - especially since there will probably not be more. Met the author in May and asked that very question - apparently she felt that the books had "ended" the series and her publisher wants her to do more of the historical books she does so well. As for Claudia and Sylvia - reading the books I've often felt sorry for Claudia as Sylvia seemed like the more talented and 'loved' daughter. Claudia reminded me of Mary Ellen Walton! The strudel sounds tempting but oh so much work. lol! Hi Donna Alice! Great personal insights on this chapter! Wow, you met Jennifer Chiaverini?! The series is indeed longer than I remembered, and I seem to recall that although I read probably 80% of the series, there were books at the end I did not get to. I didn't like some of the later books quite as well, and then I would forget to look for the new installments as they came out. But I read a LOT of them, and I enjoyed so many of them, both contemporary and historical. I love how you moved from cream cheese ball roller to cookie icer - a big step! :0 What a lovely tradition with your neighbor! Yes, I'm wondering if Claudia is at least a bit misunderstood. Will have to do more reading to find out! Tea Time for Advent 2017 - Episode 4! Tea Time for Advent 2017 - Episode 3!